The RESILIA™ Cyber Resilience best practice portfolio provides all your people with the practical guidance, insight, training and ongoing learning to help make the right decisions the right time in the face of ever evolving and increasing cyber risks. RESILIA™ is a framework of best practice, designed to help organizations and governments build, assess, deploy and manage good cyber resilience against security threats, such as cyber risks/attacks and cyber criminals. 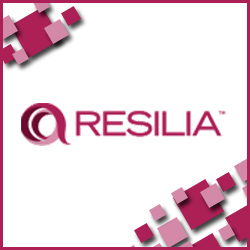 RESILIA equips professionals with accurate understanding and knowledge, enabling them to clearly and confidently react and take appropriate action, in order to implement and manage sound cyber resilience throughout an organizational structure. It improves an organization’s ability to detect, reduce, avoid and recover from cyber based threats and ultimately strengthens and aligns IT operations and enhances existing management strategies. Developed by AXELOS, RESILIA utilizes a lifecycle approach to aid effective deployment and management of cyber resilience. Provide individuals with knowledge, skills and confidence to perform and implement cyber resilience behaviors across an organization. Help set priorities and business requirements, in accordance to cyber risk levels. Provide a clear overview of individual and departmental roles and responsibilities within an organization. Equip with practical skills to achieve the best balance of risk, cost, flexibility and operational management. Evaluate existing cyber resilience controls and processes to identify critical gaps. Common language used across the organization. Improved collaboration amongst all professionals and departments in approaching cyber resilience. Ability to easily adopt good cyber resilience into the existing processes and standards of an organization. Enhanced governance, reporting procedures and holistic control. Minimize damages from a security breach, with plans and procedures set in place to support a fast recovery. Map out necessary improvements and desired level of cyber resilience maturity. Safeguarding an organizations competence, with trained employees equip with skills to minimize damages and effectively recover from any security breach. The Foundation level demonstrates an understanding of Cyber Resilience Best Practices and how it effectively supports business efficiency and operational effectiveness within an organization. The Practitioner level provides practical skills to achieve the best balance of risk, cost, flexibility and operational management benefits within an organization. RESILIA qualifications prerequisites vary and can be obtained either through sitting the exam at the end of an accredited training course or by studying privately and then booking the exam independently.